This cocoon was outside my front door (pic below) and I never paid much attention to it. 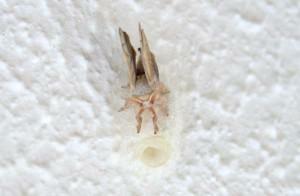 Often you see cocoons and you never actually expect to ever see the moth or butterfly that breaks out. This time I was lucky becuase as I entered my flat, there he sat on top of his cocoon. Isn’t it funny how we find butterflies beautiful and moths dull when it’s moths that spin the most beautiful thing of all – silk. However, I still find this moth beautiful. It’s innocence to the world is so clear as it sat frozen absorbing it’s first rays of sunlight. A man found a cocoon of an emperor moth. He took it home, so that he could watch the moth come out of the cocoon. One day, a small opening appeared, and he sat still, watching for several hours, as the moth struggled to force its body through the little hole. Then, it seemed to stop making any progress. It appeared, as if, it had gotten as far as it could and it could go no farther. It seemed to be stuck. Then, the man in his kindness, decided to help the moth. So, he took a pair of scissors, and snipped off the remaining bit of the cocoon. The moth then emerged easily. But, it had a swollen body and small, shriveled wings. The man continued to watch the moth, because he expected, at any moment, the wings would enlarge and expand to be able to support the body, which would contract in time. Neither happened! 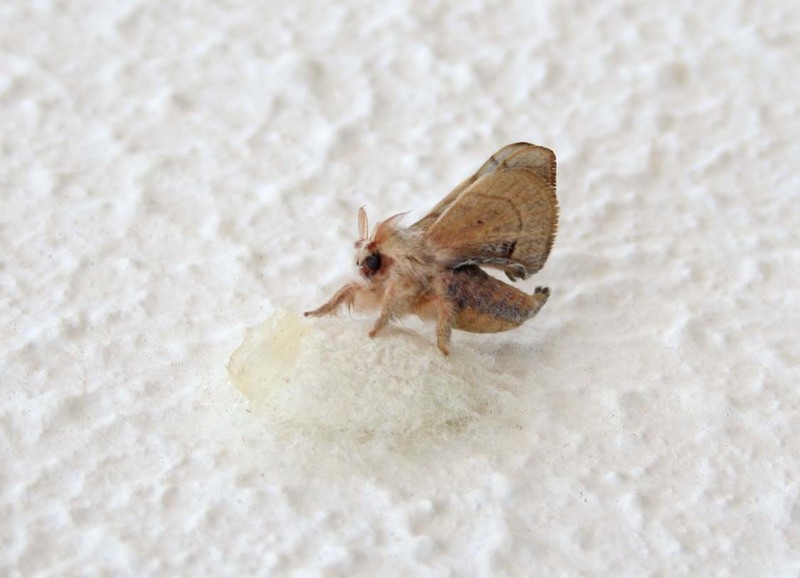 In fact, the little moth spent the rest of its life, crawling around with a swollen body and shriveled wings. It never was able to fly. What the man, in his kindness and haste, did not understand was, the restricting cocoon and the struggle, required for the moth to get through the tiny opening, were God’s way of forcing fluid from the body of the moth, into its wings, so it would be ready for flight, once it achieved its freedom from the cocoon. Freedom and flight would only come after the struggle. By depriving the moth of a struggle, the man deprived the moth of health. This entry was posted in Blog and tagged cocoon, emperor, Moth, moth vs butterfly, proverb, Quote, saying, story. Wow! That is a sad, yet beautiful story. So many things in nature for us to be in awe of, God is truly great. That’s an awesome story… but I absolutely loathe moths. There’s certain ones that come in bird food, and they infest your house until you tear everything apart and paint all of the spaces they’ve attached to. This happened to me several times when I lived with my mom, I think we battled them at the most for a year. What a beautiful image! You have such a lovely blog, I’m so glad you stopped by the other day!